Prev Banksy-Inspired Girl and Heart Balloon Valentine Card Next Cute Monster Valentines for Classmates (Printable)! 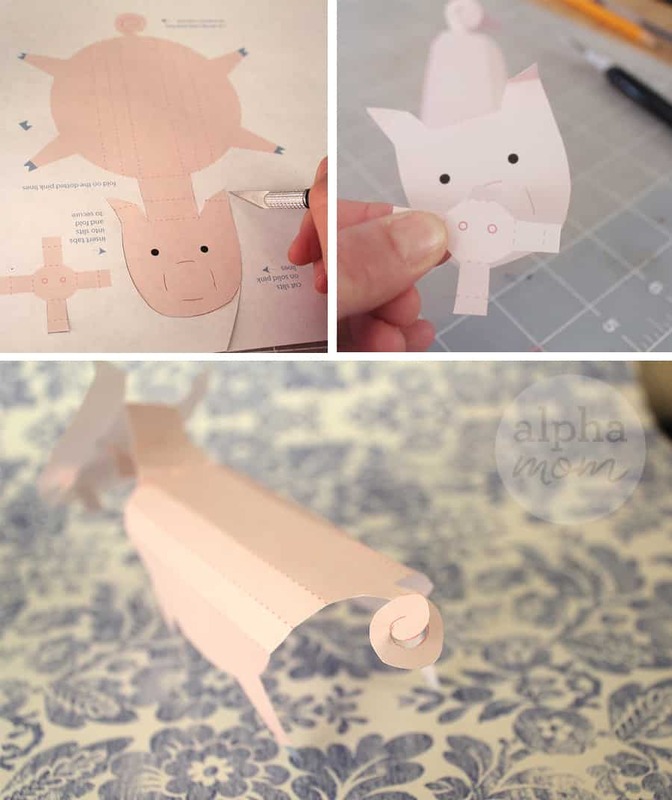 For many years now I have been showing you how to create cute 3D paper animals for decorations for the Lunar New Years. When we have missed some in years past, we have received requests asking for them. We really do love creating them for you! 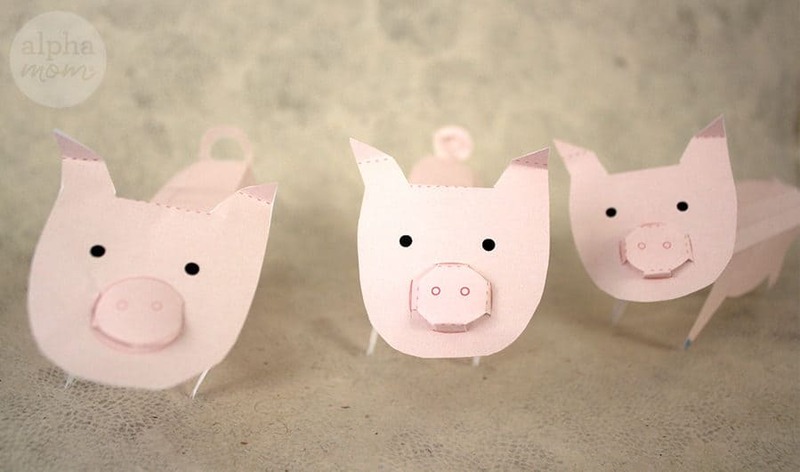 This upcoming Lunar New Year is the Year of the Pig, and falls on February 5th. 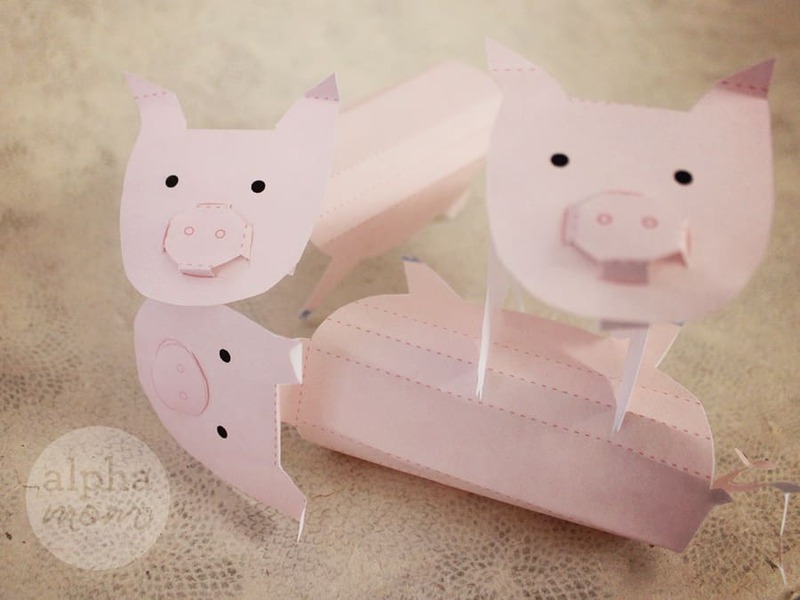 Follow below for the free printable craft and directions for assembly. First you will need our printable. Click here to print. For this one you will do better cutting with an exacto knife or blade. Scissors will work but it will be more difficult. You won’t need anything else. No glue, no tape! Just how we like it. 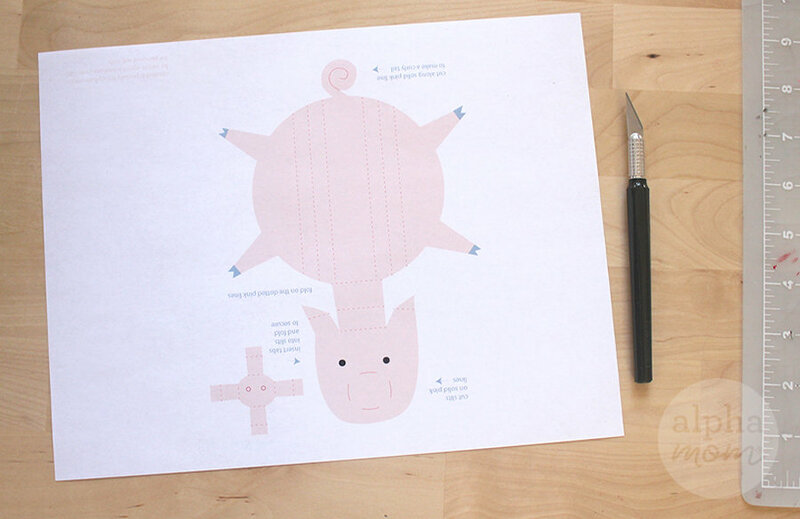 Follow along the outline of the animal and cut. Then cut slits in the face, to insert the snout. Cut out the snout and insert into your slits. Fold everything along the dotted line and pull out the spiral of the curly tail. 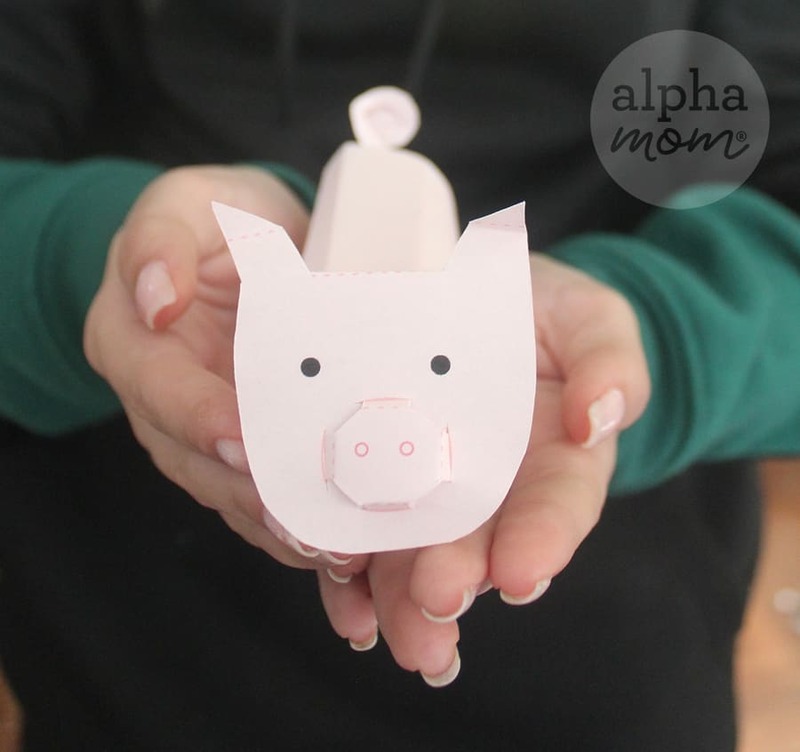 Then feed and care for your little paper pig! Actually no feeding is needed.